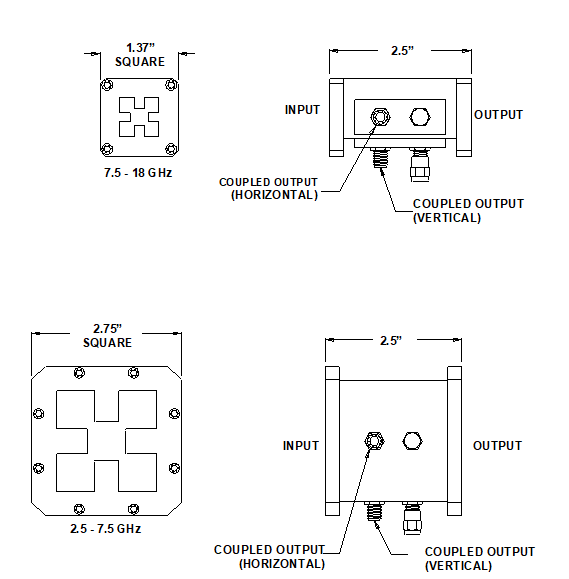 M.E.C.’s coaxial couplers for quad-ridge waveguide independently sample each of the two propagating modes. 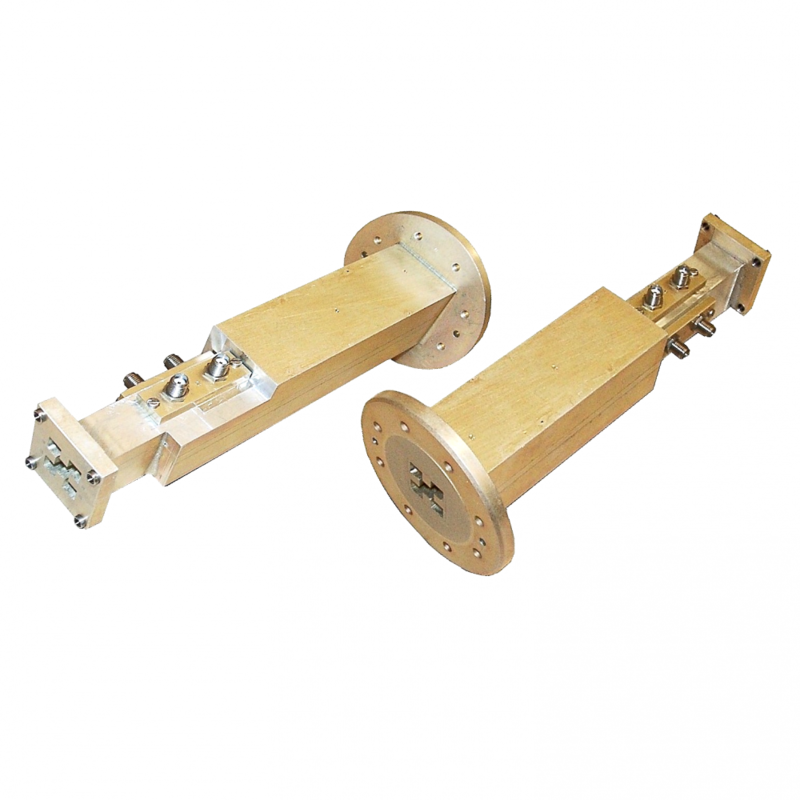 Two identical side-by-side couplers, closely tracking in amplitude and in phase can be used for precise measurements of each polarization and for accurate adjustments of the vertically and horizontally polarized transmitters. Isolation between couplers is 30 dB typical, insuring high measurement accuracy. Coupling values are available from 30 to 50 dB with a flatness of ± 2 dB over the full frequency band of the quad-ridge. Coupled-ports are SMA-Jack with a secondary VSWR of 1.5:1 max. Material is aluminum. Finish is chromate conversion per MIL-C-5541, Class 3, and paint gray epoxy enamel. Quad-ridge transmission lines combine the broad frequency band of double-ridge waveguide with the ability to transmit two independent, orthogonally polarized waveguide modes. These modes can be used alone or in any combination of amplitude and phase. This property is useful for many antenna applications. For example, it permits polarization diversity and more efficient use of the frequency spectrum by using left and right circular polarizations. (1) Other lengths, bands, and types available upon request.